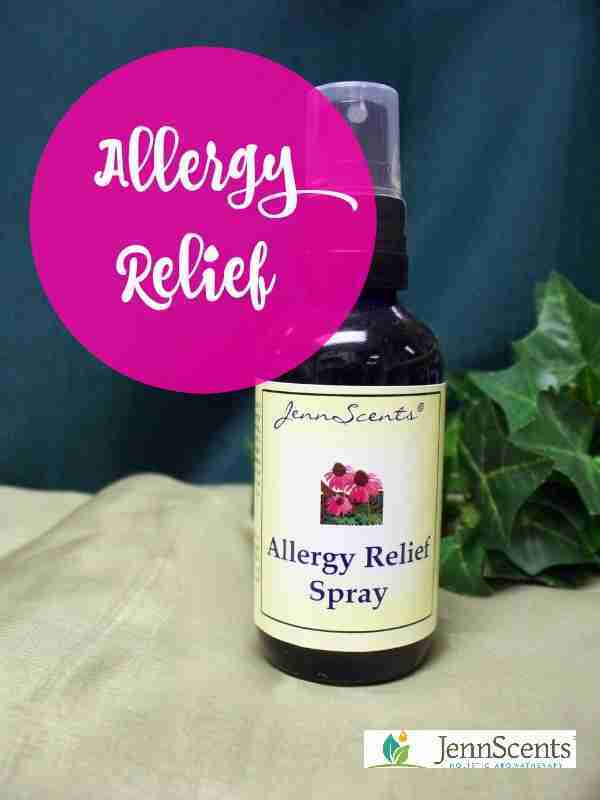 JennScents Allergy Relief - JennScents, Inc.
Allergy season is upon us again! It seems like pollen and other environmental irritants are surrounding us and wreaking havoc on our sinuses and breathing. The JennScent’s Allergy Relief Spray will certainly come in handy during these times. This formula is a custom blend of 100% pure essential oils, including Frankincense (Bowellia carterii), Eucalyptus (Eucalyptus globulus) and plant based enzymes to help combat food, pet and environmental allergies as well as cold, flu, sinus congestion, snoring, hayfever, stuffy head and other respiratory concerns. Our formulator, Jennifer Pressimone, discovered almost 15 years ago that frankincense was a powerhouse when it comes to allergies. She was teaching a class at a friend’s home, and one of the guest was having an allergy to the dog who was in the other room. After smelling frankincense, her allergy response of running nose, watery eyes, stuffy head, swelling tongue and itching skin started to subside. The guest continued smelling frankincense throughout the class and did very well. Jennifer continued seeing this response in many of her clients and thus, the JennScents Allergy Relief Blend was officially born. This blend combines antibacterial, antiviral, antifungal, anti-inflammatory and antihistamine essential oils in a base of plant enzymes. Allergens are made up of protein molecules, so the best way to break down these proteins, is with the use of enzymes. We combine the enzymes with aqua-sol silver (nano-particles of silver) and a special combination of essential oils. JennScents® Inc. uses only premium quality, therapeutic-grade essential oils and botanical sourced from all over the world. Each pure essential oil is extracted from plants, trees, flowers, roots, leaves and bark. To ensure botanical properties are present ensuring the highest quality and effectiveness, each essential oil is tested using Gas Chromatography. Our products do not include parabens or sodium lauryl sulfate and there is no animal testing. Information provided is for educational and informational purposes only and is not intended to treat, diagnose, prescribe or replace professional medical advice.